The global electric two-wheelers market is anticipated to grow at a CAGR of 7.5% during the forecast period. Electric Two-Wheeler market includes electric bicycles, electric scooters, electric motorcycles, and others. As compared to four wheelers, electric two-wheelers are lightweight, compact, easy to handle, easy to maneuver, and more efficient. The emission of large amount of harmful gases from traditional vehicles, depleting resources, and fluctuating oil prices have encouraged the masses to move towards electric two-wheelers. Easy availability of delivery infrastructure and electric vehicle charging stations favors the adoption of electric two-wheelers. The prominent players in the market include Victory Motorcycles, Energica, Lightning Motorcycles, and Zero Motorcycles. Leading market players and start-ups are exploring new technologies to strengthen the growth of this market. Vectrix ZEV offered by a US based company, Vectrix, is a zero emission motorbike, with top speed of 62 mph and 35-55 mile range. The vehicle is powered by a brushless DC motor connected to Nickel Metal Hydride (NiMH) batteries and can accelerate from 0-50 in 6.8 seconds. Several stringent vehicular emission norms passed by governments worldwide have boosted the adoption of electric two-wheeler vehicles. Growing concerns regarding environment, depleting fuel resources, and increasing need to reduce fuel consumption further supplement the growth of this market. The upgrade of charging infrastructure in countries such as China, U.S, and Western Europe contributes significantly in the growing adoption of electric two-wheelers. In 2015, there were more than 1.4 million electric vehicle charging stations recorded worldwide, which are expected to significantly increase in the coming years. Publicly accessible charging stations encourage more consumers to use electric two-wheelers. Continuously decreasing prices of batteries used in electric two-wheelers further supplements the market growth. The growth in production volume and increasing need for fuel-efficient vehicles would further lead to reduction in battery prices. Increasing demand for fuel efficient vehicles and stringent emission norms and regulations, supplement the market growth of electric vehicles. Growing demand from emerging economies and increasing consumer awareness are factors expected to provide numerous growth opportunities in the coming years. The global Electric Two-Wheelers market is segmented on the basis of type, battery capacity, battery type, technology, and region. Based on type, the market is segmented into Electric Scooters, Electric Motorcycles, and others. On the basis of battery capacity, the market is segmented into 24V, 36V, 48V and >48V. The battery type segment is categorized into lead-acid, li-ion, others. Based on technology, the market is segmented into Plugin, and Battery-Based. 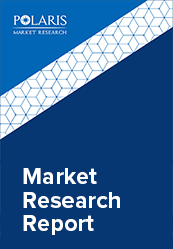 This report comprises a detailed geographic distribution of the market across North America, Europe, APAC, Latin America, and MEA. North America is further segmented into U.S., Canada, and Mexico. Europe is divided into Germany, UK, Italy, France, and Rest of Europe. Asia-Pacific is bifurcated into China, India, Japan, and Rest of Asia-Pacific. Asia-Pacific accounted for the largest share in the global electric two-wheeler market in 2017. The factors driving the market growth in this region include stringent government regulations regarding vehicular emissions, and significant investments in research and development. The leading players in the market are introducing innovative products in the market to cater to the consumers. Global players are entering new markets in developing regions to expand their customer base and strengthen market presence. The leading players in the market include Zhejiang Luyuan Electric Vehicle, Yadea Technology Group, Zero Motorcycles, Energica Motor company, Sanyang Industry, Alta Motors, Guangzhou Camqi Electric Vehicle, Yobykes, Ampere Vehicles, and Jiangsu Xinri E-Vehicle Co. Ltd.